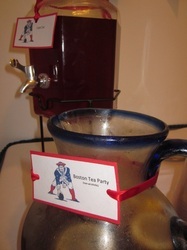 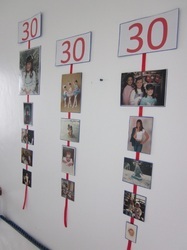 When it came to a theme for this party - it was a no-brainer....30th birthday Boston style! 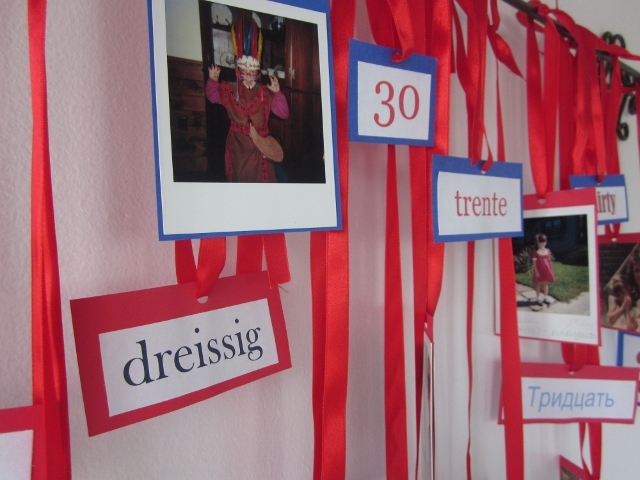 Our birthday girl is from Boston and her accent tends to stick out on this Pacific Island! 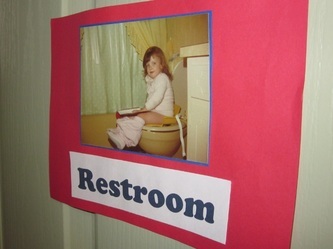 We wanted to celebrate with her and include a piece of "home." 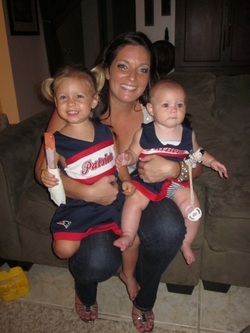 Her husband master-minded the event and even had New England Patriots cheerleading uniforms arranged for their two beautiful daughters. For the decor, I solicited photo's from Sara's family and used them as a backdrop for the buffet table and "signage" for the restroom - I couldn't resist when I saw the potty-training photo! Since we were keeping with a Boston sports theme - I mounted the photos to red and blue card stock and adhered them to the wall. 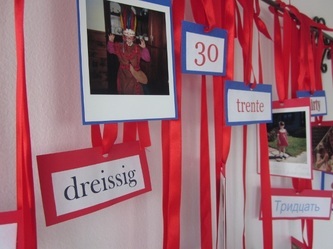 I hung some of the photos with red ribbon and added the number "30" as well as "thirty" written in several different languages. 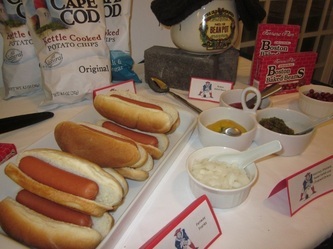 We kept most of the menu items native to Boston and they were a hit! 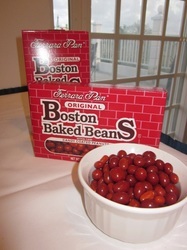 The buffet included New England Clam Chowda with Oyster Crackers, Fenway Franks, Boston Baked Beans, Cape Cod Potato Chips, Sausage, Peppers & Onions, Boston Baked Bean Candies, Boston Creme Pie, Cape Cods and "Boston Tea Party" Iced Tea. 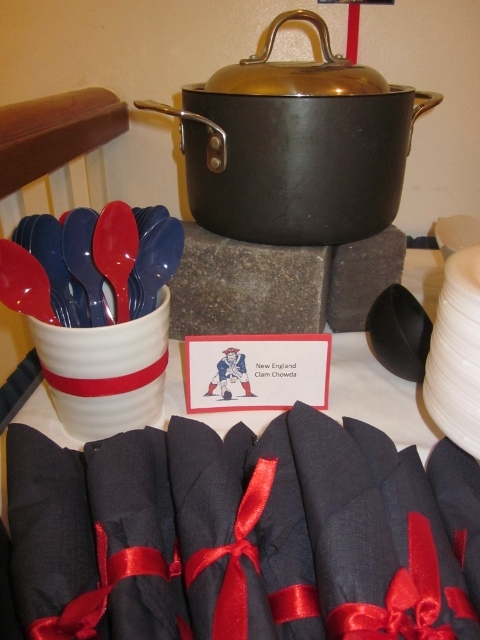 I made the menu cards myself - along with the rolled silverware and red ribbon accents, they were the perfect pop of color to the table. 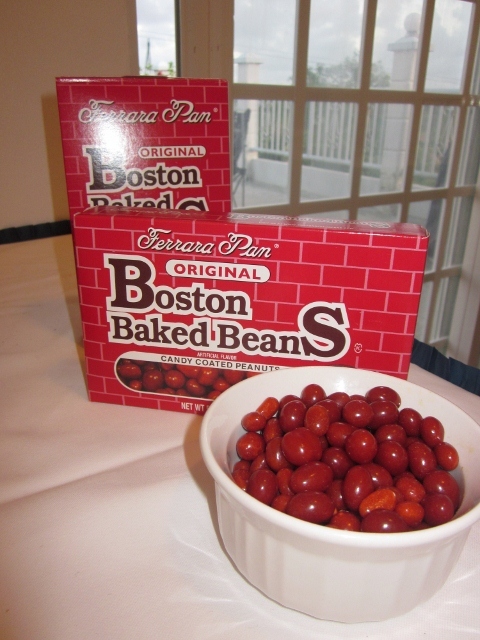 Instead of using traditional warmers, I propped the Baked Beans and Chowda on bricks and placed a sterno flame underneath the pots. 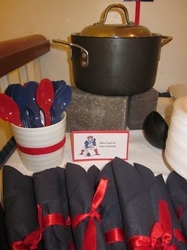 This helped to take up less space on the buffet table and added some extra interest to the decor.